Invisible waterproofing coating, helping solid walls to stay dry from rain. Dulux plus Smartshield+ is an invisible exterior waterproofing coating that helps solid walls to stay dry from rain, improving thermal efficiency and cutting heat loss. 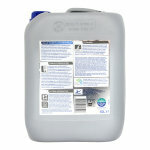 Designed for fast spray application and has up to 10 years protection. This product is resistant to the effect to UV damage, it also helps with reducing heat loss as well as retaining the look and feel of the property. Recoatable in up to 1 hour and touch dry in 1-4 hours. 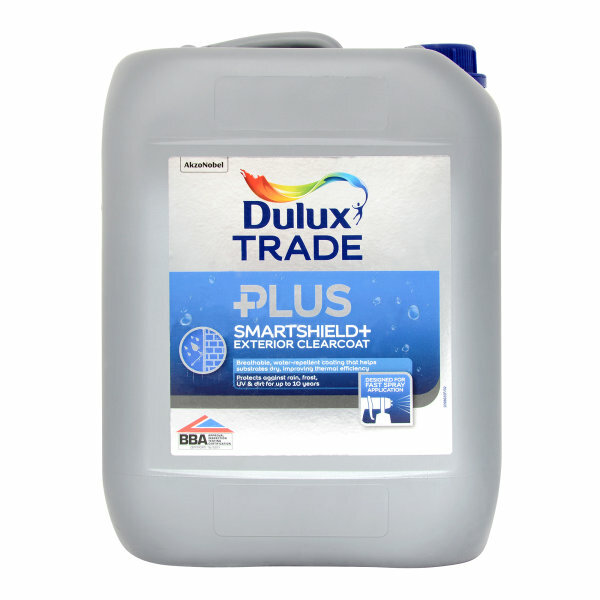 Dulux Trade Plus SmartShield+ is an exterior waterproofing coating that has been specifically formulated to reduce water ingress into substrates without sealing the surface, helping substrates breathe and dry-out, maximising their thermal efficiency. Dulux Trade Plus SmartShield+ provides invisible protection from water, frost, UV-radiation and dirt, helping building exteriors maintain their natural beauty. Dulux Trade Plus SmartShield+ has a low viscosity formulation enabling efficient spray application across previously unsealed and undecorated substrates. 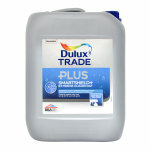 Dulux Trade Plus SmartShield+ is water-based, has low odour and is quick drying. To get the best results with Dulux TradePlus SmartShield+ make sure any surfaces to be coated are sound and clean. Treat any areas affected by mould, lichens and algae with Weathershield Multi Surface Fungicidal Wash or steam cleaning equipment. Repair damaged joints, cracks and other defects with suitable materials. Ensure building/structural connections are sound for tightness and, if necessary repair. Cover/protect glass, windows, doors, metal and plastic surfaces as the product is very difficult to remove once dry. Fully protect any other items in the near vicinity from any possible over-spray e.g. plants and vehicles. Caution: Do not use Weathershield Stabilising Primer or other equivalent products that may seal the substrate. Carefully decant into spray equipment & find the correct pressure following the spray manufacturer's instructions. Hold the spray nozzle approx 10cm from the surface. Ensure a low pressure is used to avoid excessive mist/overspray. Deep impregnation of the enture surface is required, so spray a thorough layer in a uniform manner across the surface from the bottom of the wall to the top. Spray over the surface until the surface can no longer absorb the coating. For very porous substrates apply 2 or 3 coats 'wet-on-wet'. Less absorbant surfaces may only need to be treated once. On brickwork 2 coats would usually be required. Can also be applied by brush or roller.